Will Robert "Beto" O'Rourke be the next president of the United States? Who knows? He thinks he will be. So do a growing caravan of other Democrat candidates walking toward 1600 Pennsylvania Avenue. A man standing alone in the crowd at the O'Rourke announcement rally caught my attention because of the sign he was holding. And because of follow-up news stories. Our culture is one that's friendly to idolizing public figures---particularly actors, athletes, and politicians. The man standing in the crowd was holding a sign that read: "Beto Is Our Christ." The Vanity Fair piece is fawning over the candidate. They like him. But, remember that's not my point. 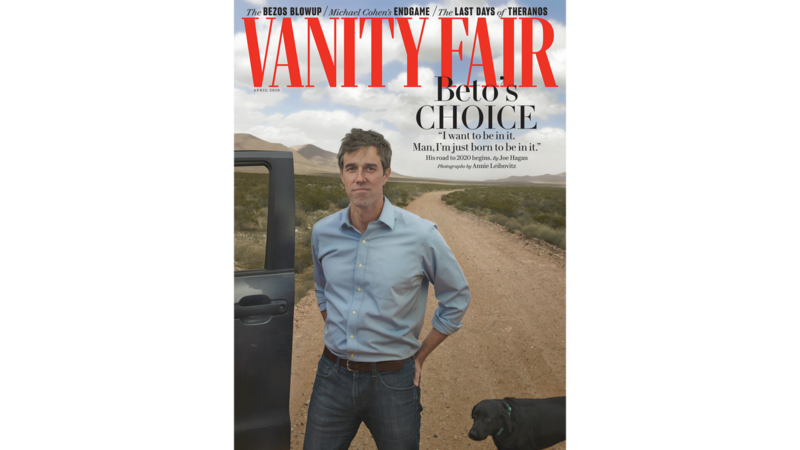 Beto told Vanity Fair, "Man, I'm just born to be in it," a statement of his own sense of being anointed---inevitable, destined. It sounds more spiritual than political. In fact, Beto, who does not use notes or prepared remarks, says when he speaks at rallies he seems to feel he is a channel for divine inspiration. He says, "Every word is just pulled out of me...Like by some greater force." He says this is why he is going up against Donald Trump because it's a battle of good versus evil, akin to "every epic movie you've ever seen, from Star Wars to Lord of the Rings." Beto says one of his favorite books is "The Hero's Journey." The Guardian notes that "The Hero's Journey," which is about "monomyth," breaks down into component parts the myth of the hero. The hero ventures forth from the common world into a more significant world of wonder; he is tested but wins a decisive victory. Then he returns, with the power to bless and lead the little people who stayed behind. Each media story notes that Beto feels he is destined for "bigger things." And there's nothing wrong with dreaming--- "think big and keep it simple." Right? Successful politicians always have an inflated ego. The authentic ones cover and control it. "He appears to have good intentions, if not humility or expertise. Perhaps the greatest evidence of this is how frank he has been about seeing himself as a chosen hero, an anointed savior who was 'born to be in it'. A more cynical politician would be better at hiding his flaws." Beware of spiritual deception in the political arena. The upcoming 2020 election is by most all accounts, the most consequential in recent US history. Much of the rhetoric in the coming months will be laced with spiritual and "Scriptural" words. The 2020 election will be framed around "good and evil" and "the destiny of our country." And it will be dirty. Scripture will be quoted endlessly by many---some, simply as a prop to influence Christians who have not embraced the religious Left, but are uninformed. Scripture will be quoted to support some form of the Green New Deal, open borders, socialism and socialized medicine and yes, even abortion (Nancy Pelosi). Within the growing number of Democrat candidates, there is an increasing narrative of Bible quotes and explanations of Scriptural meaning---it seems everyone has a "Christian worldview" although much of what they are proposing or doing is anti-biblical. Remember, regardless of how golden a candidate may appear, they all have feet of clay. There is a sociological theory that a quasi-religious faith exists within the United States, particularly among conservatives, that is often referred to as "American civil religion." The argument, coming mostly from the religious Left---primarily directed at people who attend evangelical churches but are generally uninformed, makes the case that while religion is declining in America, civil religion is rising with people trying to fill the spiritual void. This civil religion, the prophets of the Left say, is worship of idols---politicians. Books and articles have been written about it. The basic argument is this: There is a viewpoint, they say, that some people in America, particularly conservative evangelicals, have come to see the document of the United States Constitution, along with the Declaration of Independence and the Bill of Rights as cornerstones of a type of civic or civil religion or political religion. Political sociologist Anthony Squires has written a lot on this subject. He says that these texts, the Constitution, Declaration, and Bill of Rights have become authoritative symbols and the sacred writ of American civil religion. As you can see some of these so-called "tenants of faith" are biblical and some are not. They are carefully crafted to intertwine God's Word, with political beliefs and patriotism. In the coming 2020 election, the Left will use the "religion" argument to divide and conquer the evangelical community in their attempt to put a Left progressive in the Oval Office. God is, in fact, the "Supreme judge," and He is sovereign---but He cannot be known through "the American experience." The Constitution, Declaration and Bill of Rights are not sacred texts in the sense of spirituality and the flag is not a sacred symbol in that respect, but they are significantly important to those of us who love our country and believe in American exceptionalism. And many biblical Christians, myself included, believe God blessed and led out Founders as they prayed for His guidance in founding a nation and crafting our founding documents. In the coming months, patriotic Americans will be cast by the Left as people who worship the country and see our Founding documents and symbols as "sacred " on a par with God's Word. Be very discerning. Be Informed. Be Vigilant. Remember they did the same thing for Obama. Satan has no new game plan, just does the same thing over and over.